I found this photo from 2 years ago. 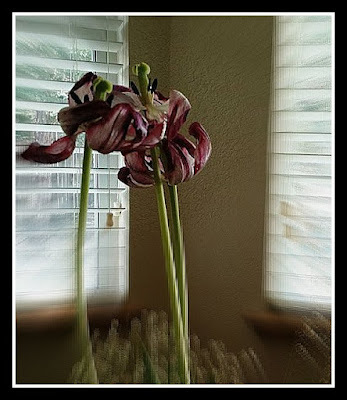 I call this my ZOMBIE FLOWERS. Enlarging this shows the detail better. HaHa...That's what my Mother's Day flowers are beginning to look like....haha.